Join At Home In Louisville Real Estate Group this Sunday January 4th from 2-4pm for a wonderful Open House! Take a tour of 11406 Jefferson Trace Blvd, a four bedroom 2 1/2 bath home in Jefferson Trace! You'll love the spacious interior, custom finishes, and fantastic back yard! Call 502-371-1173 for additional information about this home. Feel free to browe our website to view Open Houses in Louisville Ky. Happy Holidays from At Home In Louisville Real Estate Group! We have had a blessed year and we hope you have also! Thank you so much to all of our family members, friends, clients, and business associates that have made this year so wonderful! 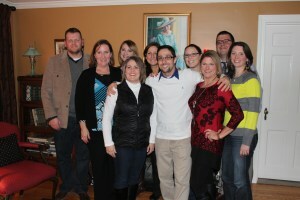 Our team enjoyed a fun holiday party at Melanie Jones' home this year! It was so nice to join together with our family members and team mates to celebrate the year's achievements, relax, & share time before the upcoming holidays. Merry Christmas & Happy Hanukkah! May your holidays be full of precious memories this year and next! We can't wait to see what joys next year brings! Thank you for sharing 2014 with At Home In Louisville! 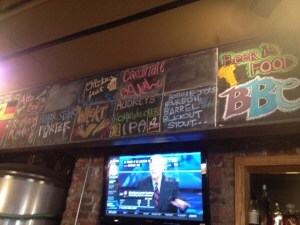 Escape from the cold and try some local beers with a trip to Louisville’s own Bluegrass Brewing Company (BBC). With three locations in town, BBC is sure to offer a good time. Try some local craft beers, order the pretzels & beer cheese, and listen to a local band! BBC offers all of the tasty appetizers you’d like including fried green tomatoes, artichoke dip, wings, or hummus. The menus vary slightly between the three locations but all offer a variety of salads & sandwiches as well as entrees such as a hot brown, stir fry, steak, or pork chops. 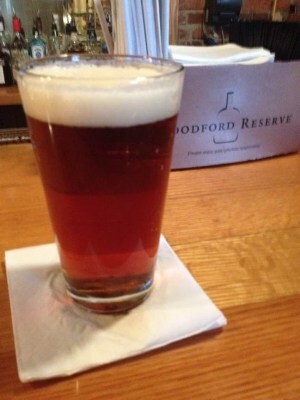 BBC has several beers always on tap with the addition of seasonal brews & specialty brews. They even offer seasonal bourbon barrel beer. The bluegrass brewing company website presents upcoming band performances as well as an online store with pint glasses & tees. 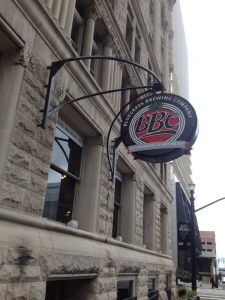 The owner of BBC is originally from Southern Indiana and attended a brewing course in Chicago. He and his father opened the doors of the first BBC in 1993 and the rest is history. Bluegrass Brewing Company currently has locations at 3929 Shelbyville Rd, 300 West Main St, and 660 S 4th Street. They are open from 11am-12 midnight Monday-Thursday, 11am-1am on Fridays & Saturdays, and noon to 10 on Sundays at the Shelbyville Rd & West Main locations. The kitchen generally closes an hour prior to the rest of the bar. For more Louisville Eats & things to do in the Louisville area please continue to browse our blog. We also welcome you to call us at 502-371-1173 with questions about Louisville Real Estate. Join At Home in Louisville Real Estate Group this Sunday 12/21 at 17510 Stallion Way! Take a tour of this stunning 4 Bedroom home in Lake View at Polo Fields. You'll love the tastefully designed & spacious interior. 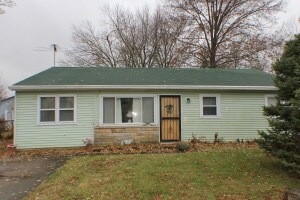 The home offers 2 1/2 baths, a partially finished basement, and scenic back yard. Call 502-371-1173 for further information about this lovely home in Louisville or visit the home this Sunday from 2-4pm. Join our team this Sunday December 14th for TWO wonderful Open Houses! Our team will be hosting Open Houses at 8805 Brook Willow Drive & 1915 Deerwood Ave. 8805 Brook Willow Drive is a beautiful four bedroom home in Brookhurst with over 2000 square feet of living space. 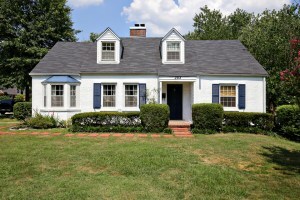 1915 Deerwood Ave is a lovely Highlands home just a half block away from Bardstown Rd amenities! Join us Sunday and take a personal tour. Please feel free to browse our website to explore Homes for sale in Louisville. Call us for more information about these homes or to obtain additional information about Open Houses in the area, and home values in the Highlands! Directions: Just off of Bardstown Rd, Deerwood is located between Speed and Bonnycastle. One of the great things about living in Louisville is all of the local businesses. Louisville has a wide array of local shops and restaurants sprinkled throughout various neighborhoods and areas of town. Even if you've lived here ten years or more, there always seems to be something new to try or discover. While there are many excellent chain restaurants in town, the local restaurants really do add to the cultural richness of the area and break up the monotony. 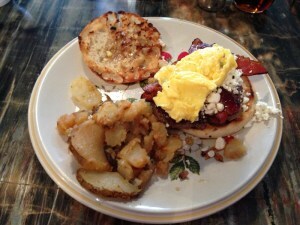 If you're looking for a new breakfast restaurant, check out Eggs Over Frankfort. My husband and I really enjoy getting breakfast together Sunday mornings after church and we like to try new places. 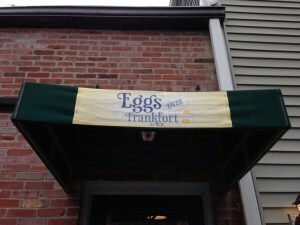 We stumbled upon Eggs Over Frankfort recently and had a great experience. The restaurant is quite small and it was packed the day we visited. While we did have a small wait, the environment was warm and the staff very friendly. 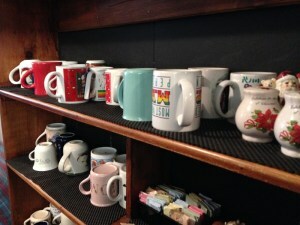 While we waited we were invited to choose a mug from a nearby book shelf and were served coffee (very homey atmosphere!). The restaurant serves breakfast and brunch and the menu has some unique options. We both ordered variations of the Breakfast Burger, a burger served on a maple glazed english muffin with goat cheese, egg, and bacon. We had sides of delicious cheese grits & breakfast potatoes. Yum! The food served around us also looked appealing with options including red velvet pancakes, eggs benedict, breakfast burrito, built your own omelet and more! Eggs Over Frankfort is open daily from 7:30am-2:00pm Monday-Friday and 7:30am-3:00pm Saturday and Sunday. The restaurant is located at 2712 Frankfort Ave Louisville KY 40206. Be sure to arrive early to avoid the crowds and ask for extra syrup if you order the burger! Support our local business and check out Eggs Over Frankfort if you're in the area. Give us a call today for more information about the Louisville area or to learn about Louisville Real Estate. Join our team this Sunday December 7th at THREE Fantastic Open Houses! 353 Chenoweth Ln is a lovely four bedroom home with spacious interior in Druid Hills. 3658 Kelly Way is a welcoming 2 Bedroom ranch style home in Highgate Manor. 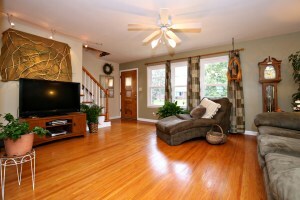 3502 Tyrone Dr is an updated four bedroom cape cod in Bashford Manor. Three lovely homes and all move in ready! Join us this Sunday and let us give you a personal tour! Call 502-371-1173 for more information about any of these properties and feel free to explore our website to view Open House in Louisville. Directions: Taylorsville Rd to Furman Blvd, R on Kelly Way. 7110 Ethan Allen Way Louisville KY 40272 is a four Bedroom ranch style home in the Valley Village neighborhood of Louisville KY. The home offers more than 1200 square feet of living space. Enter to a good sized Living Room. The Living Room opens to the Family room (a former carport which has since been converted). 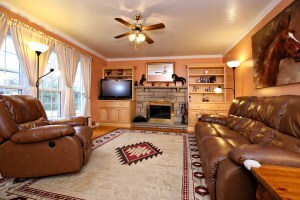 The Family Room offers nice additional space and could also serve as a pleasant Dining Room. 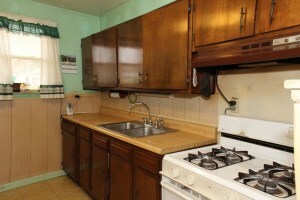 The Eat In Kitchen includes a dining area, double sink, and adequate cabinetry for storage. The rest of the floor plan is comprised of four bedrooms & a full bath. 7110 Ethan Allen Way Louisville KY 40272 has a fully fenced grassy yard and is located in a nice neighborhood with side walks. The home has a newer toilet & bathtub & insulation has been added to the attic. The roof & gutter guards were replaced just two years ago. Call our team today to discuss the latest in Louisville Real Estate or if you have questions about the home. 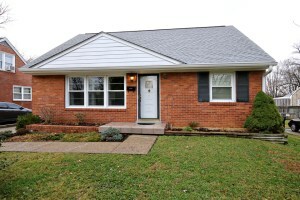 4413 Southridge Drive Louisville KY 40272 is an attractive three bedroom ranch style home in Louisville. The Living Room welcomes guests with hardwood flooring, crown molding, wood burning fireplace, and abundant natural light. 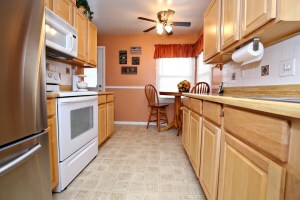 The Eat In Kitchen offers plenty of storage space & pleasant dining area. The additional Dining Area makes entertaining a breeze and is accented by crown molding, chair rail, and hardwood flooring. The first floor also includes three good sized bedroom and an updated Full Bath. 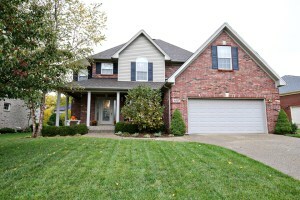 4413 Southridge Drive Louisville KY 40272 has a finished walk out basement with fantastic additional living space. There is a comfortable Family Room, Recreation Room, 2 more completed rooms, Laundry Room, and a Half Bath! The Back Yard with full privacy fence features a covered deck & storage shed. The property also has a single carport and double wide driveway. The home has several notable upgrades including water heater (2013), gutter guards (2012), furnace/air (2009), and new plumbing in the basement bathroom! Call today for more information about this wonderful home in Louisville! We would love to give you a personal tour! 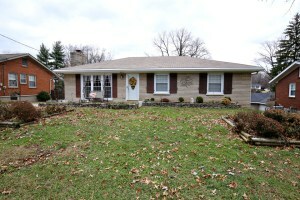 3502 Tyrone Drive Louisville KY 40218 is a wonderfully updated four bedroom cape cod home. Enter into the Living Room with neutral walls and sparkling hardwood flooring. 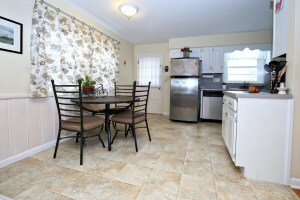 You'll love the Kitchen with comfortable dining area & abundant cabinet space. 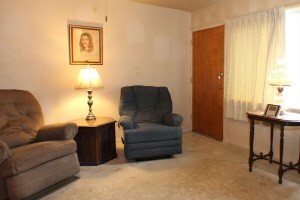 The Master Bedroom is conveniently placed on the first level along with one other bedroom. Both first level Bedrooms showcase hardwood flooring and are positioned close to a Full Bath. The second level includes two spacious bedrooms and an additional Full Bath with tiled shower. 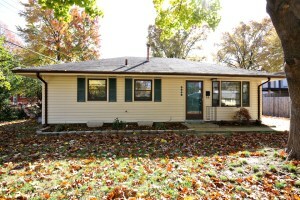 3502 Tyrone Drive Louisville KY 40218 has a large basement with great space for future completion or storage. The laundry is located on the basement level. The back of the home is relaxing with a lovely grassy yard surrounded by a privacy fence. There is a one car detached garage with a covered patio attached. Incredibly well maintained and perfect location! Call us today to set up your private showing! We also welcome you to utilize our website to view homes in Louisville. We did not feel pressured to buy or compromise. Everyone was extremely available to us. Clayton Knauer was incredibly patient, helpful, and truly our advocate. Shaunta Hamby is an excellent and very pleasant communicator.